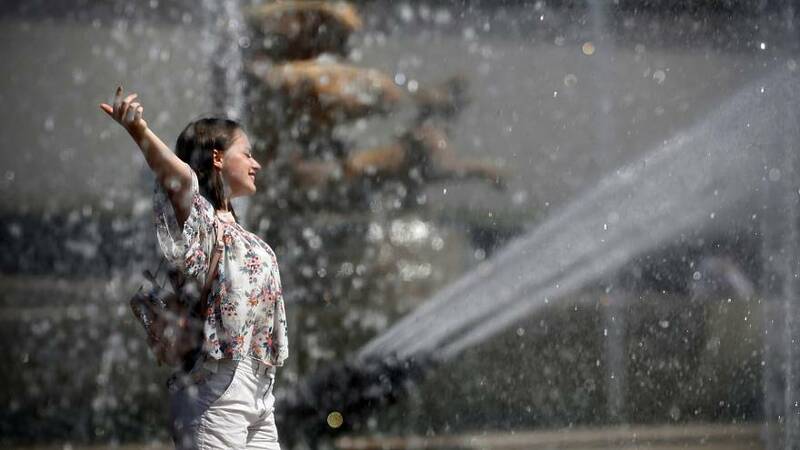 Parisians and tourists sweltered on Tuesday as temperatures reached 36 degrees Celsius (97 Fahrenheit) in the French capital. At the Trocadero square facing the Eiffel Tower, tourists cooled down in the water fountains or sought shady spots to get some respite from the blistering heat. A heatwave currently gripping Spain and Portugal was moving northward to France. The hottest weather is expected in central and northeastern France, where temperatures could rise to 40 C (104 F).